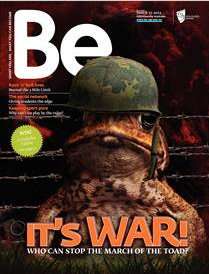 I’ve just been flicking through our latest issue of Be Magazine and in particular I am fascinated by the cover story – ‘It’s War’ about our battle with the cane toad. It is quite astounding, that considering the cane toad was introduced to Australia to help eradicate pests that were destroying cane crops in the 1930s the toad itself has probably become the greatest pest and threat to Australia’s natural environment. Walking outdoors at night it is evident to see that toads are a problem, but until you look at the facts and figures it is difficult to understand just how bad a problem this warty critter is. Initially introduced to Queensland, the cane toad has multiplied and in 2009 crossed the West Australian border. In fact what I find most shocking is how quickly they spread – moving 40-60 kilometres westward every year and leaving a trail of environmental destruction in their wake! Cane toads are not only extremely ugly but are also lethal to most of our native species, releasing a lethal toxin when threatened – so hardy is the cane toad that it can kill a crocodile. Even though much research has been conducted into eradicating the cane toad, much of this has failed – leaving many to wonder if the battle has been lost. While many have all but given up on eradicating this pest, some are tackling the problem with their bare hands, toad-by-toad because it now seems the most reliable way to stop the march of the toad is to catch them and kill them humanely. Many communities that have been severely impacted by toads have introduced toadbusting sessions, whereby volunteers arm themselves with torches, gloves and bags with the sole mission of capturing as many toads as possible. In fact the program in Gladstone, run by Conservation Volunteers Australia, has caught close to 60,000 toads in 11 years. One can only imagine the impact on the local environment had these toads not been captured. I think this initiative really has some legs, so here is hoping it can be adopted by organisations like CVA in communities right across Australia. Read more about the war on the cane toad in the latest edition of Be Magazine. 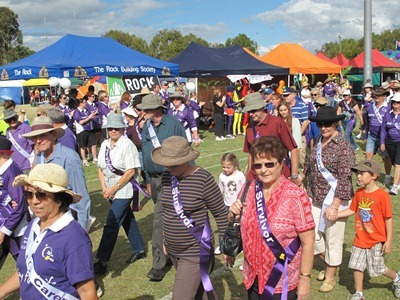 In the past fortnight, the State Government has approved the proposed plan for the CQUniversity Rockhampton Priority Development Area. After a period of consultation between the Department of State Development, Infrastructure and Planning with relevant stakeholders, CQUniversity has withdrawn its previous objections, and is now in support of the proposed plan. We believe this development will benefit the University and create a more vibrant atmosphere on campus - which will in turn help us to attract more students locally, from outside the region and internationally. In future, as CQUniversity continues to strengthen its ties with its communities, I really believe this development will see the Rockhampton campus become a central hub for this community, incorporating educational, commercial, community and recreational facilities. The approval of this plan signals the beginning of what will be an ongoing process for CQUniversity and I will endeavour to ensure all of our stakeholders including staff, students, commercial operators and traditional owners are kept up-to-date with all information as soon as it comes to light. For more about the CQUniversity Priority Development Area please refer to the Department of State Development, Infrastructure and Planning website. Last week we celebrated the achievements of our students at the CQUniversity Student Awards. Recognising the hard work of our students is something we do every year however this time we did it a bit differently, electing to present the awards via video conference and including all of our campuses from Cairns to Melbourne, in the one celebration. Sometimes, relying on technology for something so important can be a gamble, but our alumni relations, information technology and corporate events teams pulled it off without a hassle and I was thrilled with the results. It was the next best thing to having everyone in the same room. As well as being thrilled with how the event ran I was also astounded by the students being recognised, especially among our first and second years. There will certainly be no shortage of talent for employers to choose from in the next few years if these students are anything to go by – well done to you all and congratulations to you and your families! Of course when talking about student awards I cannot go past recognising our many generous partners and donors who make this event possible. Your contribution to CQUniversity and our students is appreciated immeasurably. 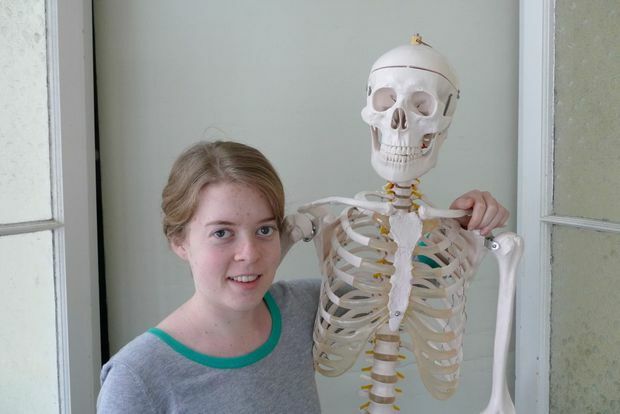 In some cases it is the support of our partners and donors that can make the difference between a student being able to attend university or not. 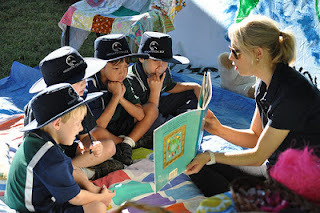 In addition to relieving financial obstacles this generosity provides inspiration and motivation to students and instills self-confidence and belief, helping them to concentrate on their studies and enabling them to make the most of their potential.